British Horseracing Authority chief executive Nick Rust believes the six-day shutdown of racing in the UK was necessary to get a "clear picture" of the equine flu outbreak. 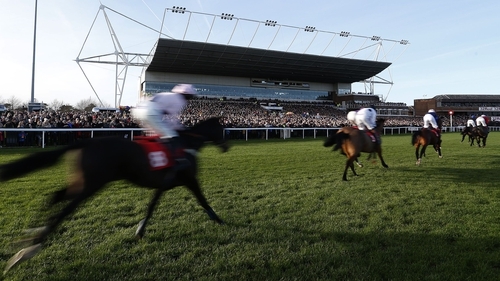 The BHA announced late on Monday that racing would resume on Wednesday after cancelling all events in the wake of positive tests at Donald McCain's Cheshire yard. Speaking in London on Tuesday morning, he said: "The decision last week was taken with a set of circumstances that suggested to us that we should lock down racing for several days so we could have a clear picture of the circumstances around the outbreak. He said: "Security measures will include all horses being required to submit a health declaration, that the horse has shown no symptoms of equine flu in the last 14 days. "We had to adopt a pragmatic approach. What we are comfortably satisfied with is that we have got sufficient measures in place to understand what has happened with the disease and how to contain and control it. That is fundamental in terms of the key principles we must follow.